Tomorrow’s headquarters need to build culture and connect employees to the company's purpose. 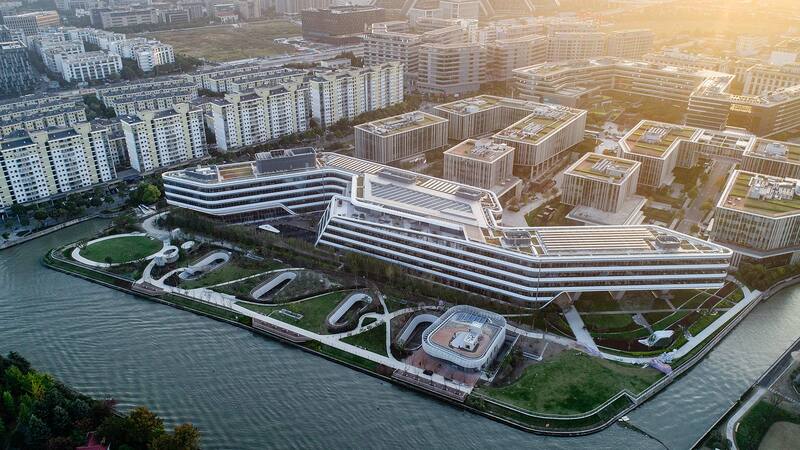 Above: Johnson Controls Headquarters Asia Pacific — Shanghai. With so many people having choices in where they do their work — ranging from third places, airport lounges, hotel lobbies, or simply at home — we have higher expectations for what the work experience should feel like. Now we ask: What’s the draw to the workplace? 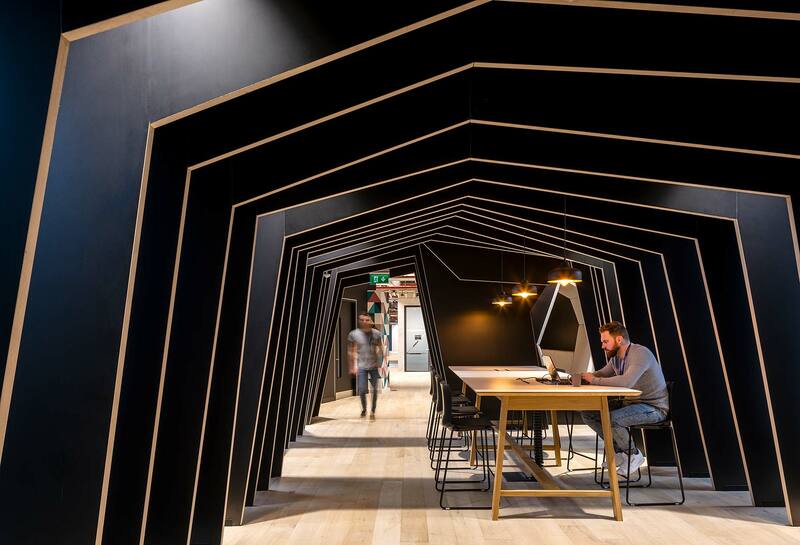 What is the workplace’s new value proposition? And how should the job of the work environment evolve? Experiences are key to defining human interactions. Just as consumers choose the experience of shopping as much as they choose the products they buy, progressive companies see the workforce as their “customers” and look to turn current and future employees into the best thing possible: true believers. This trend is having a significant impact on corporate headquarters, which bear the responsibility of setting the tone for a culture that begins at home but may extend time zones away. In earlier times, the headquarters’ job description was about communicating presence: the building, sign, and logo. In that paradigm, the workplace was considered a cost — a container to fill with people, furniture, and tools. The new job description is different. It turns the workplace into a valuable asset — one that is designed to support people in myriad ways, not simply house them. A great headquarters is sustained by great work experiences. Now there’s a stronger sense of culture, which is reinforced by tangible links to the organization’s mission and values. 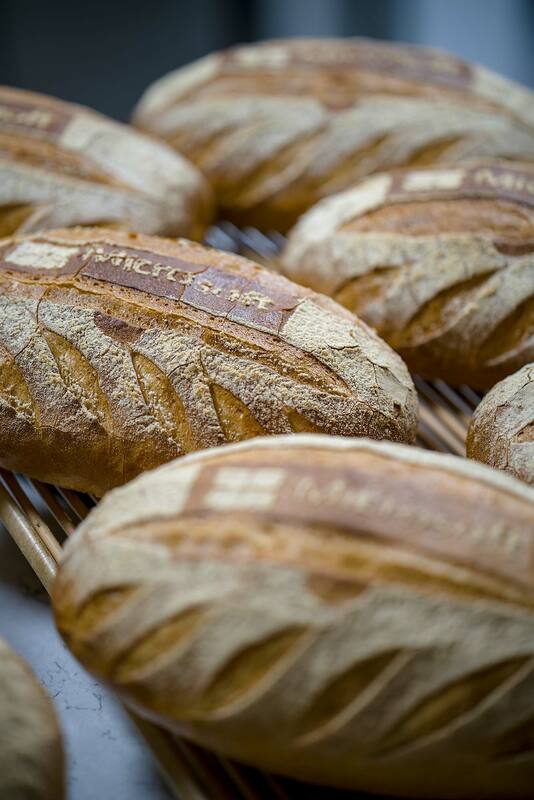 When it comes to work, people are letting us know that purpose and meaning are great motivators. Increasingly, they are looking for jobs that satisfy that desire in addition to providing an income. The goal is to encourage employees to do more than simply show up for work. With a well-aligned branded work experience, they’re more likely to show up with enthusiasm. And when the experience clicks, they’ll feel they belong and will understand how to contribute. That’s when they’ll start to believe. The building’s two long wings are connected by a central hub with an open atrium and gathering space. 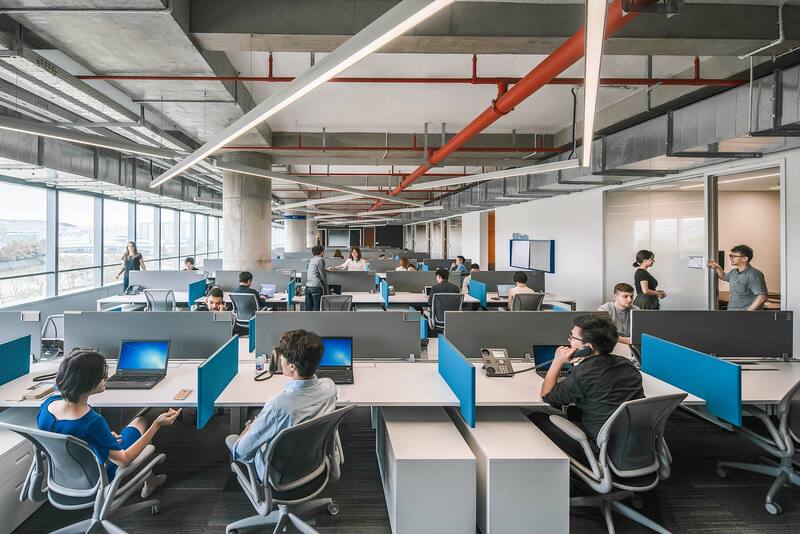 The design for Johnson Controls Headquarters Asia Pacific relocates four distinct business units into flexible work neighborhoods, surrounding a five-story atrium that encourages collaboration and chance encounters. The space reflects the organization’s culture of community and wellness, and includes a gym, healthcare clinic, coffee shop, and canteen. 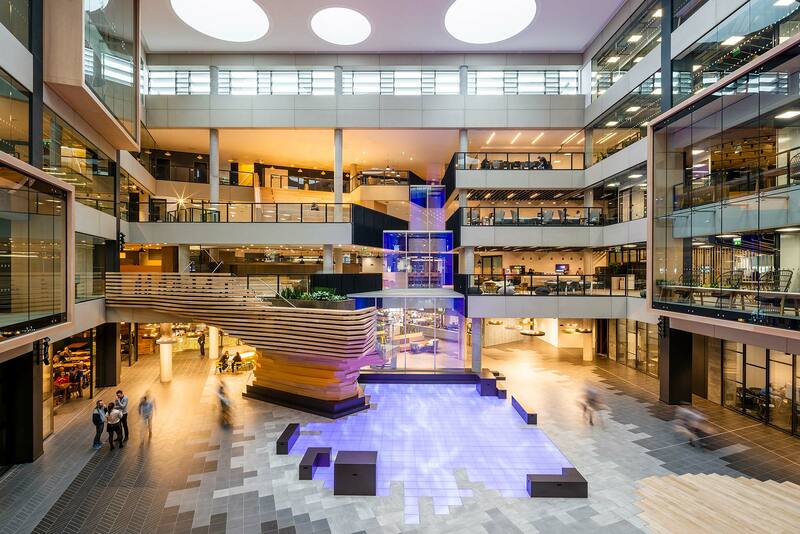 The 377,000-square-foot headquarters sits on a long narrow site, which challenged the design team to create a sense of community for company employees while optimizing floor-plate efficiency. 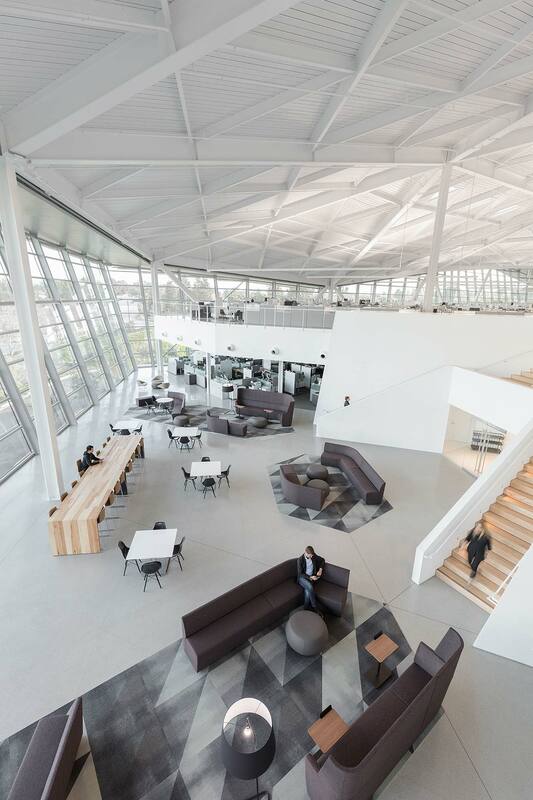 The solution was to create two long rectangular buildings that maximize daylighting, and connect them with a central hub that serves as a gathering space. Work zones surround the hub’s five-story atrium. 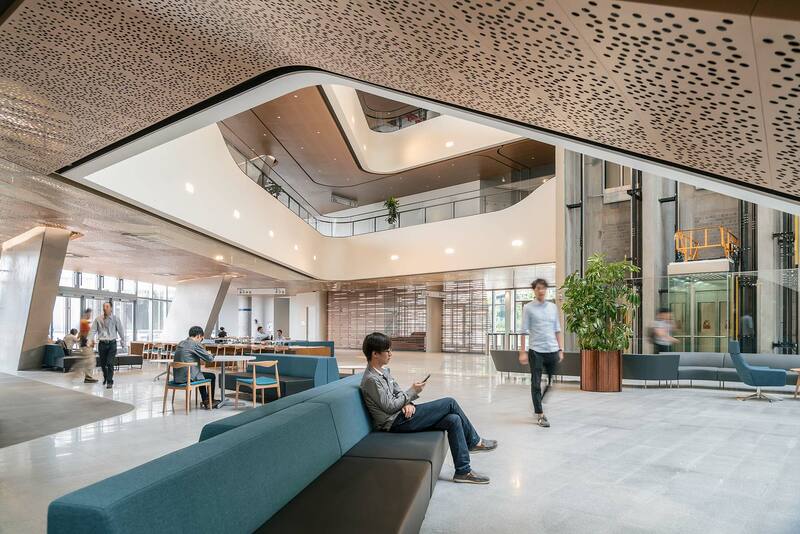 They are linked by interior staircases that encourage interaction among different departments. To allow community access to an adjacent public park, the design team lifted the building’s north wing, creating a greenway for employees and neighbors. Made up of over 125,000 LED lights, the digital “lake” is a place for reflection and respite, and a place where the community can gather. 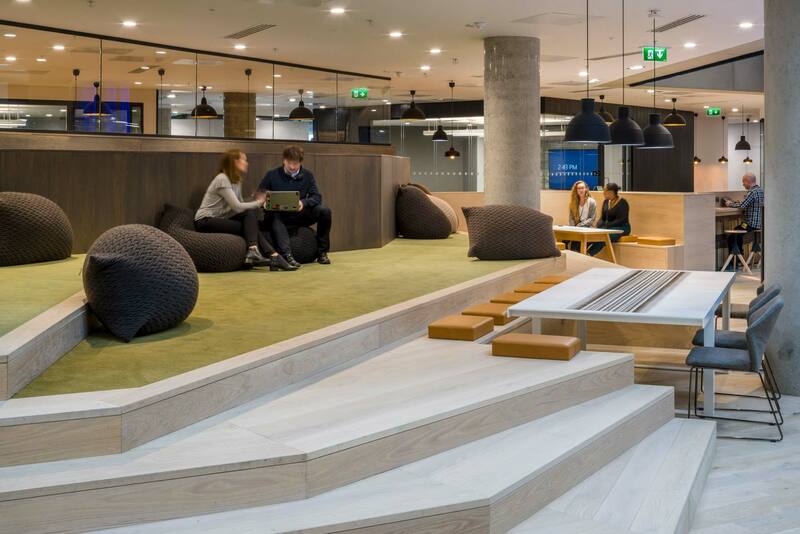 In designing its new headquarters in County Dublin, Ireland, Microsoft wanted to break down barriers and find new ways of working to empower employees, optimize operations, and engage customers, while uniting 2,000 employees into one integrated location. 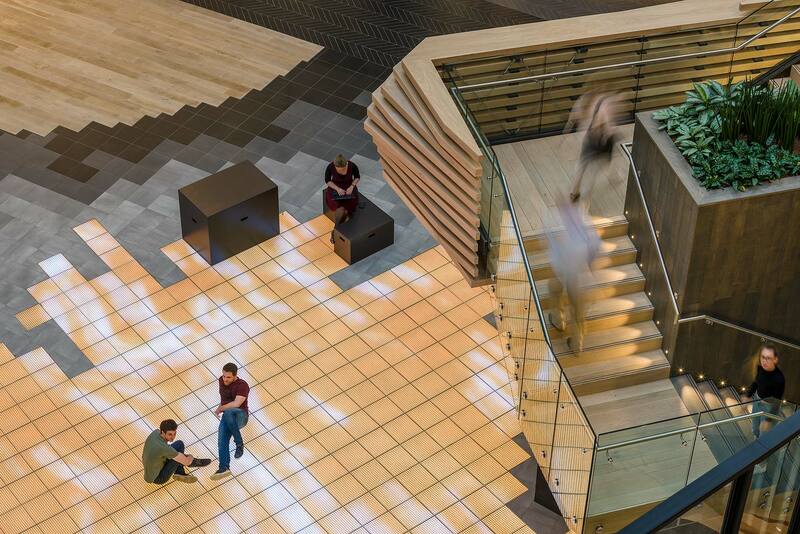 The 330,000-square-foot campus connects employees from 72 different nationalities with different work styles and cultural preferences — to strengthen relationships, build community connections, and fuel innovation under the new “One Microsoft” vision. 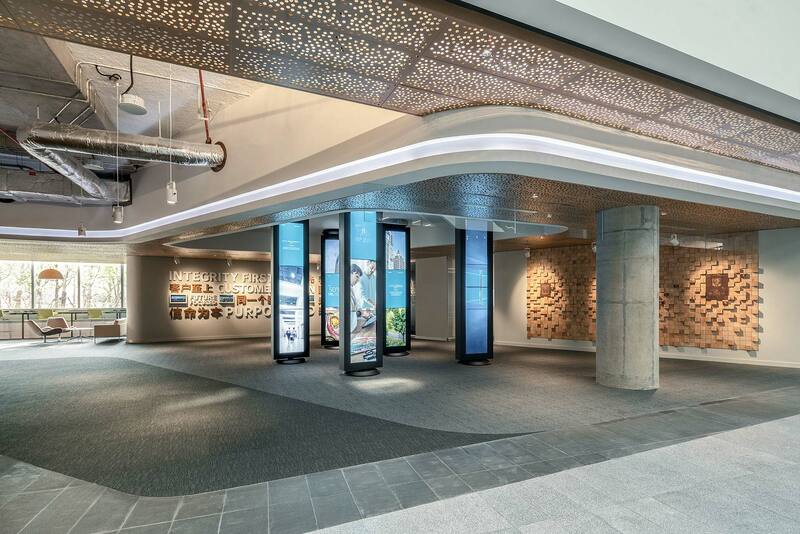 Taking a human-centric approach, the design team created a concept, called Microsoft Island, which maps out how visitors and employees interact with the space, taking into account their diverse needs. With people, environment, technology, and curation as core principles, the space connects “everyone and everything.” Microsoft employees vary in roles from developers, who may gravitate to the caves and mountain to seek peace and quiet; to salespeople, who arrive at the harbor to engage with visitors; to business support professionals, who huddle around the campfire to share information in social hubs. The new campus fosters collaborative ways of working that will help Microsoft with its cultural transformation as a company, working together toward a common mission. In the “cave,” small coves and caverns provide private, hidden, enclosed spaces for quiet, focused work, spurring productivity. 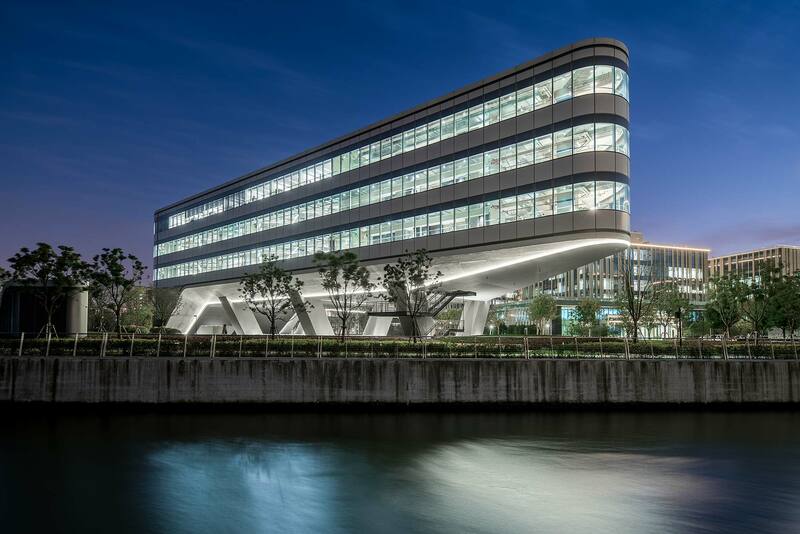 The building’s triangular form references the company’s technology. Employees enter and leave by passing through green space. 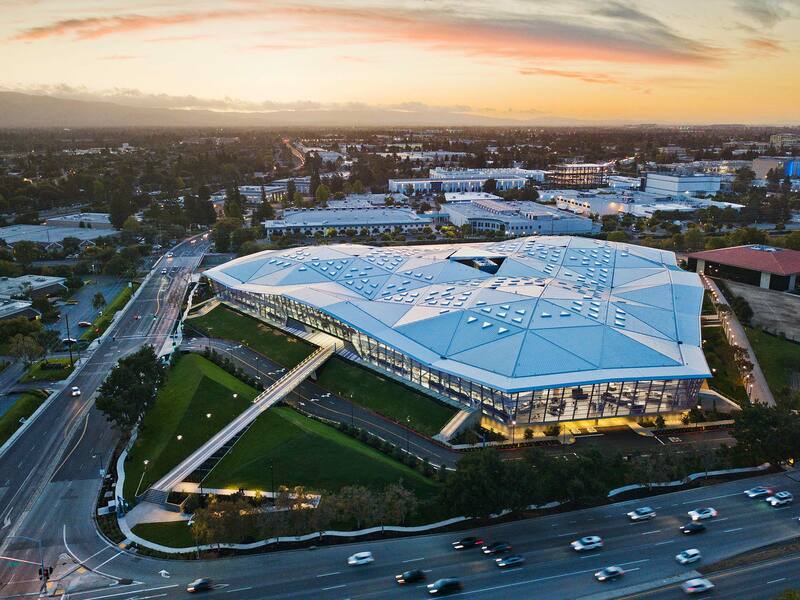 Redefining Silicon Valley campus norms, the design for NVIDIA’s new campus expresses the confidence and drive to innovation that have made the company thrive. 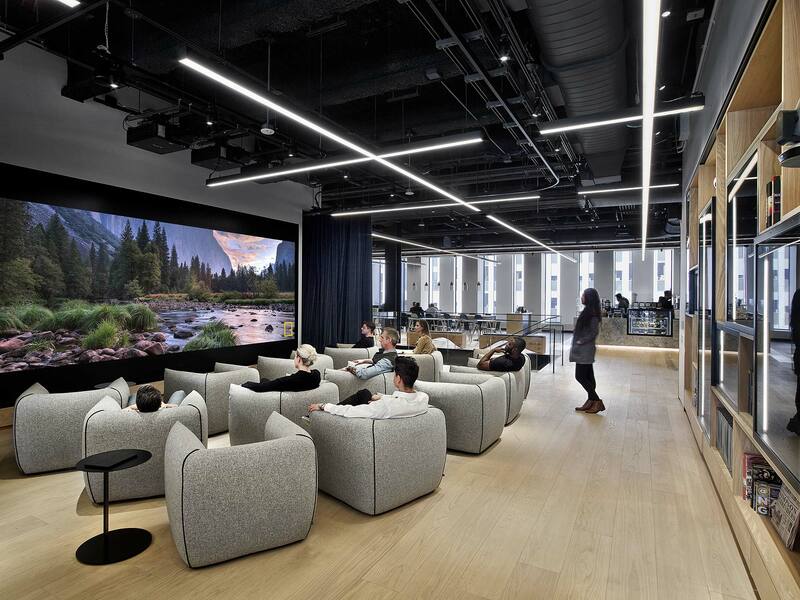 To create an interactive and collaborative workplace, NVIDIA’s once compartmentalized departments are now joined on two spacious 250,000-square-foot floors wrapped around a light-filled central space. The building form is driven by the company’s desire to engage its workers with each other. Taking a cue from chip design — where the connections for information flow are designed first — the space is planned around how people move, maximizing the opportunities to connect. Vertical circulation is more than stairs; it’s a series of platforms where impromptu interaction can occur. The triangular floor plan is efficient, decreasing the walking distances from person to person. The triangle also symbolizes NVIDIA’s work, because it’s a fundamental building block of computer graphics, the company’s core technology. 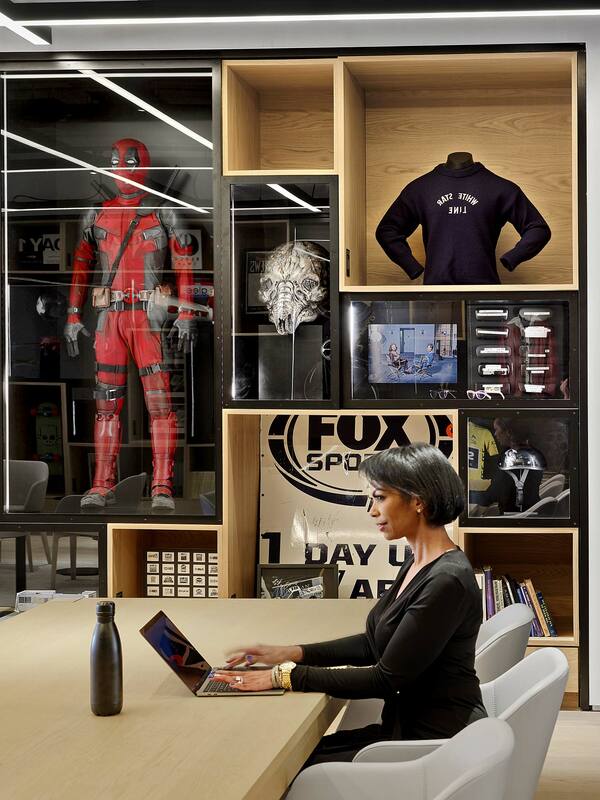 The 90,000-square-foot workplace is divided into collaborative neighborhoods, each with a sports focus. Wilson’s brand is built on a legacy of sports equipment that amplifies the abilities of athletes. 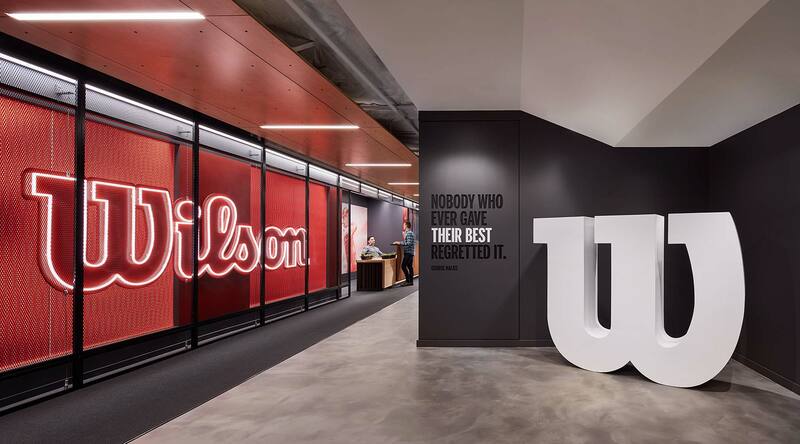 In moving its new global headquarters to downtown Chicago, Wilson leveraged its brand to instill a strong sense of energy, pride, and achievement among its people. Using materials inspired by wooden bats and leather gloves, Gensler created a sports-themed workplace that is both inspired and whimsical. Moments of delight make their way through the space, whether in the golf tee wall depicting athletes, the legacy wall highlighting Wilson history, the scoreboard wrapped in Wrigley Field ivy, or the expanded metal panels that recall chain link fencing found at ballfields everywhere. 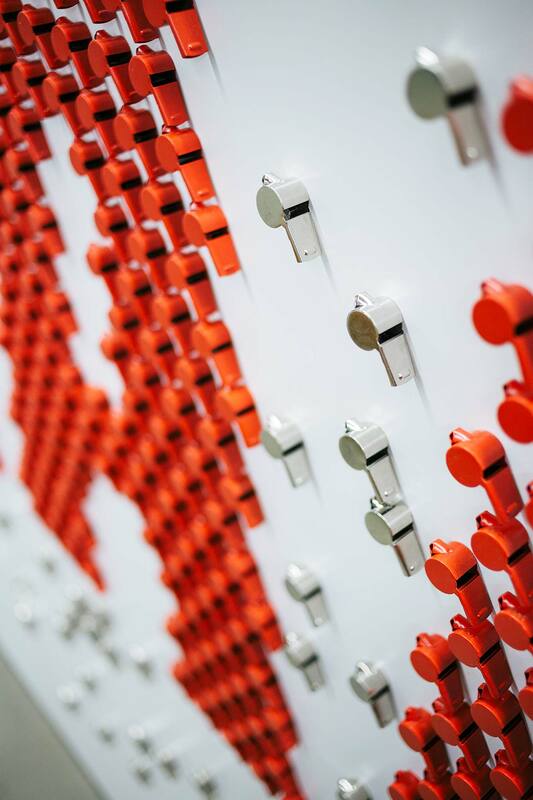 They are powerful statements that communicate Wilson’s essence to employees and visitors. A floor pattern of sports courts and field lines draws visitors to the cafe, where the Wilson All Stars roster — a display of each employee’s “baseball card” — showcases the people behind the brand. Employees gather in the screening room to view productions from 21st Century Fox’s trove of content. 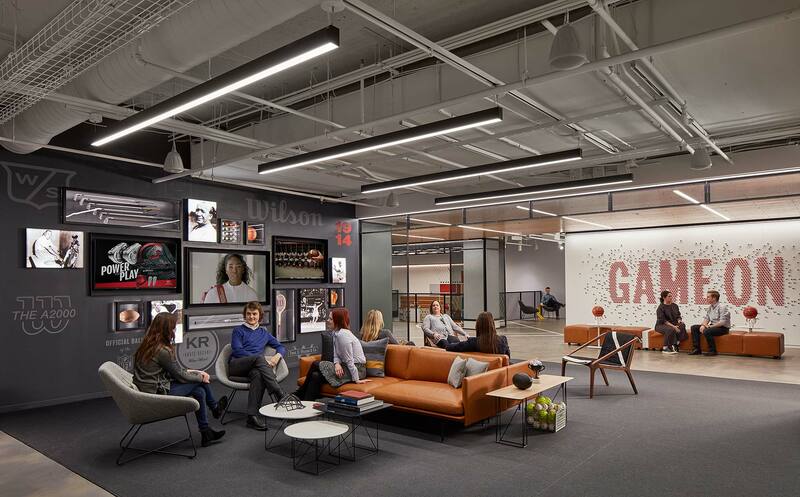 In this headquarters redesign, Gensler created spaces to enhance collaboration, accessibility, and creativity — refocusing on the employee experience and the company’s rich narrative. Teams that previously worked in separate locations are consolidated in the new space. 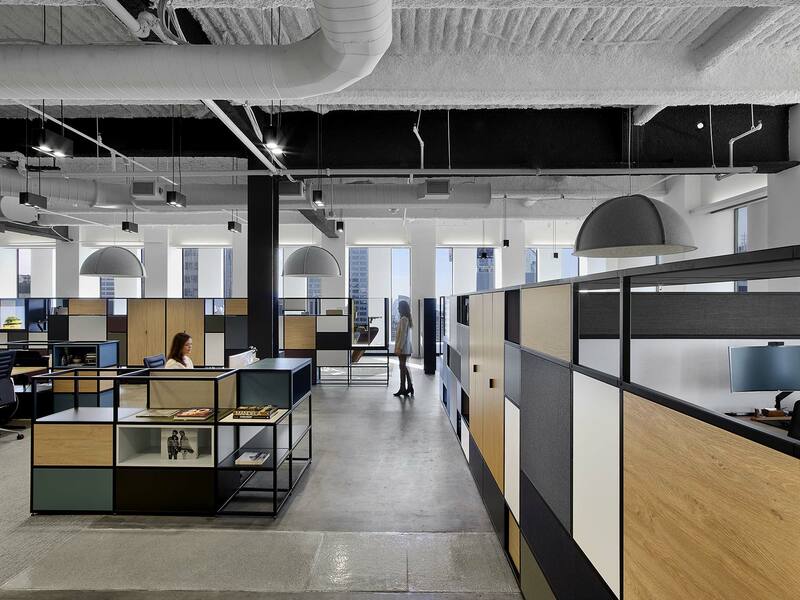 Gensler improved the workflow and connectivity by introducing an open plan workplace and placing a variety of work settings near each other. Branding moments highlight 21st Century Fox’s signature typography, with graphics that recall its iconic searchlight. The executive floor has a gallery of display cases exhibiting movie props, costumes, and collections that bring the company’s entertainment, sports, and news history alive. An adjacent screening room with blue velvet dividers invites employees to view productions from the company archives. 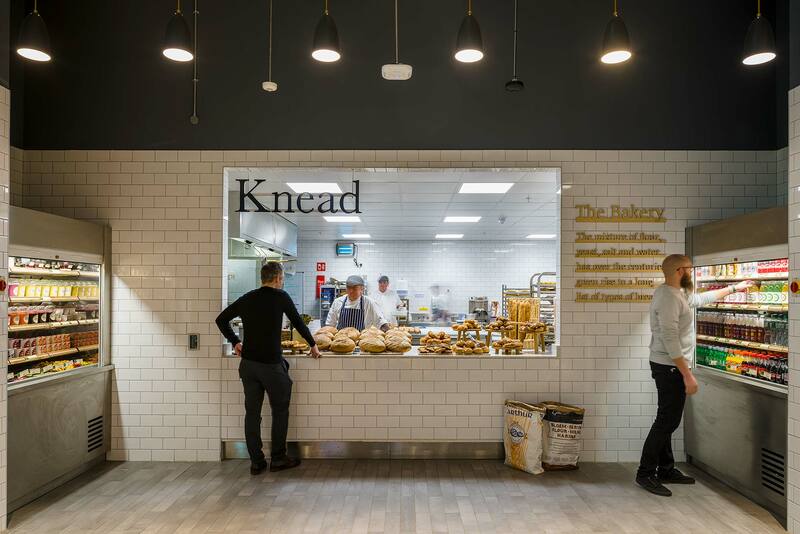 Grab-and-go cafes, sushi bars, and a food hall are interspersed on multiple floors, creating places for the company’s culture to cross-pollinate.